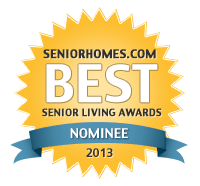 Aging In Place Remodeling Focuses on Remodeling For Easy Living, Comfort and Visitability. Are You One of the Short-sighted Home Remodelers Not Planning For Your Future? Are You One of the Shortsighted Home Buyers Not Planning For Your Future? Guest Post: Superfoods for a Super Life! 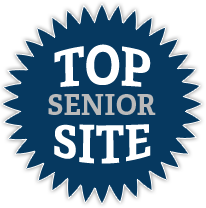 Contributed Post: Should you have a Separate Room for Bathroom and Toilet if you are a Senior? Elsie and John are celebrating the holidays simply this year. Christmas dinner is being simplified and the decorations are going to be minimal. Why? Because things are much harder these days for this senior couple and simplification HAS to happen. Most of us are aware that there are many benefits to having a pet, some of the most commonly mentioned ones being particularly relevant to younger people, especially kids. Pets are known to teach children responsibility and provide great companions in the process of growing up. However, they can do a lot for other people as well, especially seniors. From the moment the devastating diagnosis is made, those suffering from dementia along with their families face a future of many changes and adaptations. The emotional turmoil alone can be very difficult to cope with, not to mention the practical aspects of this life-altering disease, so we as caregivers need to do our absolute best to make the journey as simple and comfortable as possible. Alesha E. Churba, Certified Aging in Place Specialist, is the owner of A.E.Churba Design, LLC- writes about aging in place and design for the future. She can be reached by e-mail at aechurba@hotmail.com. Contributed Post: Downsizing in Retirement: Is It Right For You?